Is it the colours? The depth of field? The composition (of course)? The subject? Or the mere fascination of the world with a particular subject? 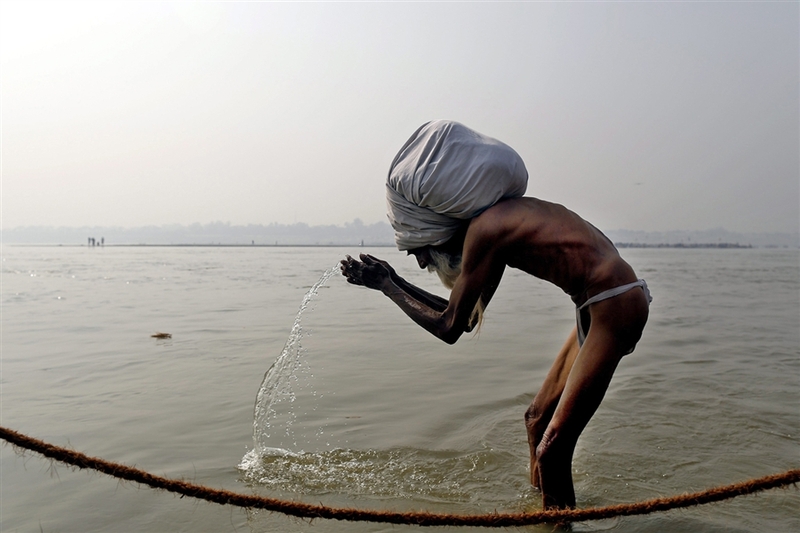 In the past few weeks, my news feed has been flooded with images from the Maha Kumbh Mela. As I casually flip through the photographs, it strikes me that I am quite bored and jaded of the images of the naked babas, the ash smeared babas and the matted hair man smoking ganja. I remember seeing these images first in a National Geographic magazine and being quite blown by it. I saw more such images on social media. But it has been a while since the last Maha Kumbh and the world has grown in leaps and bounds in the meantime. Software engineers were still blossoming and nobody had the money to buy super expensive cameras. SLR cameras were still meant for professionals only, or the super rich. And travel was mostly meant to be done in a planned, organized manner to civilized places. Photographs and stories of such ‘exoticity’ were meant to be devoured only over the breakfast table or in a novel, possibly written by eccentric people you would not want to entertain in your house. Okay, I’m going over board. But the point is, about half the people on my friends list were at the mela this time. It seemed like this was the latest ‘in’ thing to do. I should have known that this was a disturbing trend when I read about sadhus arriving in SUVs at the mela. But I was excited about it and wondering how I could afford two weeks shooting the world’s biggest religious fair, so I did not pay much attention. I had to, however, take notice when identical photographs of naked / ash-smeared / matted hair babas began appearing on my feed. Isn’t there more to this mela than just these ‘exotic’ creatures? Did anybody talk to them? Did they get their stories? A photograph, particularly in a situation like this, is not merely shooting the man from far. This is what separates the real photography enthusiasts from the hobbyists. Anybody can get a ‘good’ picture with the right equipment. But to infuse feeling into the picture… you need to get close. I know I haven’t done that quite often and it shows in my photographs. When I sit, late in the silence of the night, and casually scroll through my photographs, I can easily tell you why some photographs are bad. There are plenty of my photographs that I wish I could have shot better. There are a million other angles, possibly just a fraction of an inch to the side, that would have made it better. If I had only taken a deep breath before I clicked the shutter. If I had only paused and looked at the entire area before composing the frame. When you are shooting something like the Kumbh, and I shouldn’t even probably be commenting on this as I have never been there, but you should be able to caption you photograph with something a little stronger than ‘ash smeared baba holding a charas’. Who is he? Why is he there? What made him turn to this? It is a brilliant place to be and a beautiful story to tell. I wish the Reuters Photographer who covered this year’s event had blogged more about. You can read what he wrote here. But what makes the difference in his photographs is the way he taught. Maybe there are stunning photographs out there and I haven’t seen them yet. But it definitely made me think again about what makes a good picture. And reminded me ofRobert Capa‘s line – If your pictures aren’t good enough, you aren’t close enough.